Measurement of gaseous emissions from poultry and livestock facilities has been an active area of research for more than two decades. Large-scale national studies have been conducted in the USA and Europe. Lessons learned from these projects include an appreciation for the magnitude of measurement uncertainty associated results, a large range in reported values for similar systems, and an appreciation for the special challenges related to emissions measurements from naturally ventilated structures. This paper briefly describes the background of emissions measurements and discusses how such projects might be conducted in Brazil in the future. Emission of gas such as ammonia (NH3) from broiler houses is of interest to establish national inventories and to assess the poultry industry’s role in environmental impacts associated with the emissions. These include particulate formation, regional haze, and deposition of oxides of nitrogen downstream from facilities. A national inventory can be developed from careful field measurements (Gates et al. 2008). Careful measurements involve substantial investment in trained labor and equipment, as well as willingness on the part of the industry to provide access to facilities. Issues such as representativeness of the 2 sites sampled, selection of instrumentation and sampling frequency, and a host of other factors directly affect the cost of implementation. The need for a detailed assessment of the uncertainty of emissions measurements (i.e. the accuracy with which emissions can be measured and reported) is critical. An example uncertainty analysis for a recent national broiler emissions project is provided in Gates et al. (2009) and is a key part of any project’s quality assurance (Moody et al., 2008). Some other recent examples of measurements from US poultry facilities include: Casey et al (2008; 2010), Liang et al. (2005), Topper et al. (2010) and Wheeler et al (2006). Measuring emissions requires generally two basic types of measurement, namely the concentration of gas above background levels that leaves the building, and the ventilation rate of the building. For tunnel-ventilated broiler housing, this is a fairly straightforward set of measurements, conceptually at least. However, while straightforward, the impact of management and design details unique to broiler housing do complicate the determination of emission rate. These factors include intermittent fan operation, large scale of buildings, and complicated interactions between management, season and weather patterns. The need for a properly designed and executed Quality Assurance Project Management Plan (QAP) is critical for rigorous emissions measurement projects. An example (Moody et al., 2008) has been recently published for a project to quantify ammonia emissions from broiler housing in the USA. The QAP documents all instrumentation utilized in the study, the appropriate Standard Operating Procedures (SOP) for their use, a set of Data Quality Objectives, which are used to determine a-priori thresholds for re-calibration or repair, and record-keeping measures to ensure the quality of data collected. An overview of ammonia measurement systems for broiler facilities is provided by Saraz (2013). They outline the major direct measurement methods for gas concentration including the Portable Monitoring Unit method (PMU, Gates et al., 2005), the Mobile Air Emissions Monitoring Unit (MAEMU, Moody et al., 2008), and the Saraz Method for Determining Ammonia Emission (SMDAE, Osorio, 2011). This latter method, SMDAE, also works with naturally ventilated structures and does not require direct measurement of ventilation separately. For mechanically ventilated systems, one must also measure ventilation rate simultaneosuly with ammonia concentration. General methods include use of average fan performance curves (by continuously measuring building static pressure during a test, and computing the ventilation rate for each fan from these performance curves), and various tracer gas techniques, including use of naturally occuring CO2 as a balance tracer gas (Xin et al., 2009). More recently, the adoption in the USA of the Fan Assessment Numeration System (FANS, Gates et al., 2004) has greatly reduced measurement uncertainty of emissions with respect to ventilation rate and was used in the works on USA broiler emissions cited earlier. Various gas measurement methods are used. The MAEMU system, and related other systems used in national studies, utilize a photoacoustic ultrasonic gas analyzer to measure ammonia and other gases, and automate the process to also include multiplexed sampling of representative locations in the broiler house. These systems also include measurements of building static pressure, which when combined with previously aquired individual fan calibration curves from FANS unit testing, allow researchers to to compute ventilation rate dynamically. Adjustments for non-standard temperature and barometric pressure are applied and the hourly, daily or weekly emissions can be computed and recorded. Less complicated systems include the PMU method (Gates et al. 2005), which relies on lower-cost portable units that sample ammonia concentrations for a few days using electrochemical technology. Care must be taken to acquire building static pressure simultaneously, and to create individual fan calibration curves from FANS unit testing, similar to the MAEMU approach. While this system is less complicated and it lends itself to shorter-term sampling of a large number of sites, substantial trained personnel involvement is required to maintain the instruments and to manage the data flow process. The Saraz Method is inherently simple, consisting of a set of acid-­-soaked sponges that are arranged around the building perimeter. After a period of time, for example one or two days, the sponges are collected and the mass of ammonia collected is determined by titration in a laboratory. The sum of all these ammonia sample masses,integrated over their respective opening areas provides a direct estimate of the average emission of the period of sampling. Limitations to this method include the need for a large number of sponges, the lack of dynamic values (hourly or daily), challenge in dealing with varying and shifting wind patterns during the testing, and substantial laboratory work to reduce the samples. Measuring ventilation rate directly in ventilated structures is quite challenging. Many of the previous limitations encountered in poultry and swine housing in US-style systems with sidewall fans were reduced in the past decade by using the FANS method (Gates et al., 2004). This instrument has greatly reduced ventilation rate measurement uncertainty (Gates et al., 2009) and provided opportunities for improved ammonia inventory estimates (Gates et al., 2008). However, other methods including tracer gas techniques (Xin et al., 2009) and less robust direct measurements using assumed fan performance curves have been used. These are shown to substantially increase the uncertainty in emissions rate measurements (Gates et al., 2009; Casey et al., 2007). By contrast, the Saraz Method does not require any other direct measurement of ventilation rate, and as noted above, is suited for naturally ventilated systems. lt is imited mostly by the number of sample locations that are used around the building perimeter. An interesting comparison of PMU and two open-path measurement techniques was done by Casey et al. (2010). The two open-­-path methods were Open-­-Path Fourier Transform Infra-­-Red (OP-­-FTIR) and Open-Path Tunable Diode Laser Absorption Spectroscopy (OP-TDLAS). Both were found to over-estimate emissions compared to those obtained with simultaneous PMU measurements. The inclusion of ventilation rate measurements from use of FANS to develop in-­-situ performance curves for each fan, similar to that done with PMU and MAEMU methods, was found in to greatly improve predicted emissions. The systems are quite expensive, over $250k each and require substantial operator expertise. However, they show promise because entry into the facilities is not required. 1. Ventilation rate determination can be the limiting factor in mechanically ventilated systems, and is even more challenging to determine in naturally ventilated structures. The use of FANS to determine in-situ fan peformance curves has been shown to greatly reduced ventilation rate uncertainty, and hence also emission rate uncertainty. 2. Direct gas concentration measurement systems include the relatively low-cost PMU system and the more sophisiticated MAEMU system. The former has advantage of low cost and allows for deployent at multiple sites; the latter has lower emissions rate uncertainty and provides for high temporal resolution. 3. Both the Open-Path and Saraz Method (SMDAE) allow researchers to estimate mass flux of the gas leaving a facility, and show some promise for naturally ventilated structures. 4. A Quality Assurance Project Plan (QAP) is a critical component of any large-scale emissions measuring experiment and requires substantial investment in time and planning, but provides a detailed and documented plan for conducting the measurements and reporting the results along with an estimate of their uncertainty. Casey, K.D., R.S. Gates, R.C. Shores, E.D. Thoma, and D.B. Harris. 2010. Ammonia emissions from a U.S. broiler house – comparison of concurrent measurements using three different technologies. Journal of Air and Waste Management Association. 60(8):939-948. Casey, K.D., R.S. Gates, E.F. Wheeler, H. Xin, Y. Liang, A. Pescatore, and M. Ford. 2008. On- farm fan performance: implications for ventilation and operating cost. Journal of Applied Poultry Research 17(2):283-295. Casey, K.D., S.E. Ford, J.W. McClure, Y. Zhang, and R.S. Gates. 2007. Determining fan performance using FANS: an investigation of performance impacts. Applied Engineering in Agriculture 23(3):333-338. Gates, R.S., K.D. Casey, H. Xin, and R.T. Burns. 2009. Building emissions uncertainty estimates. Transactions of the ASABE 52(4):1345-1351. Gates, R.S., K.D. Casey, E.F. Wheeler, H. Xin, and A.J. Pescatore. 2008. U.S. broiler ammonia emissions inventory model. Atmospheric Environment 42(14):3342-3350. Gates, R.S., H. Xin, K.D. Casey, Y. Liang and E.F. Wheeler. 2005. Method for measuring ammonia emissions from poultry houses. Journal of Applied Poultry Research 14(3):622- 634. Gates, R.S., K.D. Casey, H. Xin, E.F. Wheeler, and J.D. Simmons. 2004. Fan assessment numeration system (FANS) design and calibration specifications. Transactions of the ASAE 47(5):1709-1715. Liang, Y., H. Xin, E.F. Wheeler, R.S. Gates, H. Li, J.S. Zajaczkowski, P. A. Topper, K.D. Casey, B.R. Behrends, D.J. Burnham, and F.J. Zajaczkowski. 2005. Ammonia emissions from U.S. laying houses in Iowa and Pennsylvania. Transactions of the ASAE 48(5):1927-1941. Saraz, J.A.O., I.F.F. Tinoco, R.S. Gates, M.O. Paula and L.B. Mendes. 2013. 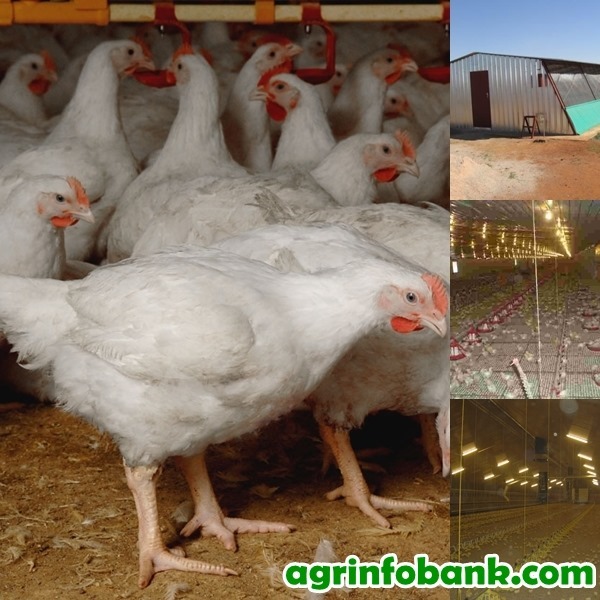 Evaluation of different methods for determining ammonia emissions in poultry buildings and their applicability to open facilties. Santos, M.O., M.A. Martins, J.S.R. Coimbra, R.S. Gates and L.P. Corredo. 2013. Revista Dyna 80(180): in press. Topper, P.A., E.F. Wheeler, J.S. Zajaczkowski, R.S. Gates, H. Xin, Y. Liang, and K.D. Casey. 2008. Ammonia emissions from two empty broiler houses with built-up litter. Transactions of the ASABE 51(1):219-225. Wheeler, E.F., K.D. Casey, R.S. Gates, H. Xin, J.L. Zajaczkowski, P.A. Topper, Y. Liang, and A.J. Pescatore. 2006. Ammonia emissions from twelve U.S.A. broiler houses. Transactions of the ASABE 49(5):1495-1512. Xin, H., H. Li, R.T. Burns, R.S. Gates, D.G. Overhults, and J.W. Earnest. 2009. Use of CO2 concentration difference or CO2 balance to assess ventilation rate of broiler houses. Transactions of the ASABE 52(4):1353-1361.